Bon voyage! 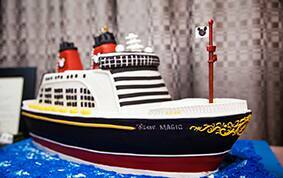 This Wedding Cake Wednesday I'm taking you aboard a luxury liner inspired by the Mouse himself. 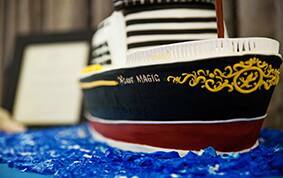 The sweetest (pun intended) thing about this Disney Magic inspired wedding cake? 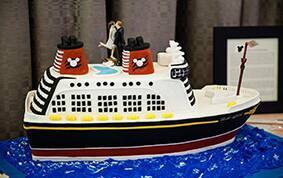 The bride and groom actually met while on a Disney cruise. 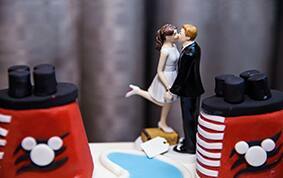 Now THAT is something sweeter than sugar! 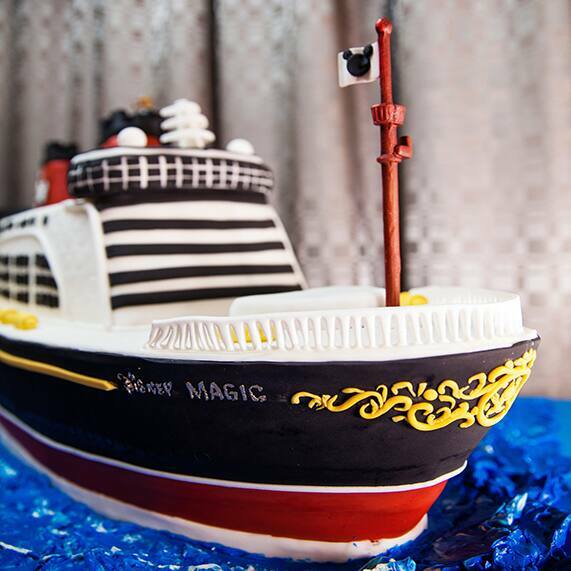 With a fleet of four incredible ships, and two new Disney Cruise Line vessels on the horizon, I'd have to say that a Disney cruise is one of my absolute favorite options for honeymooners.